Picture this...the holidays are over, it's cold, it's dreary and I am in desperate need of a good soup recipe to lift my spirits. 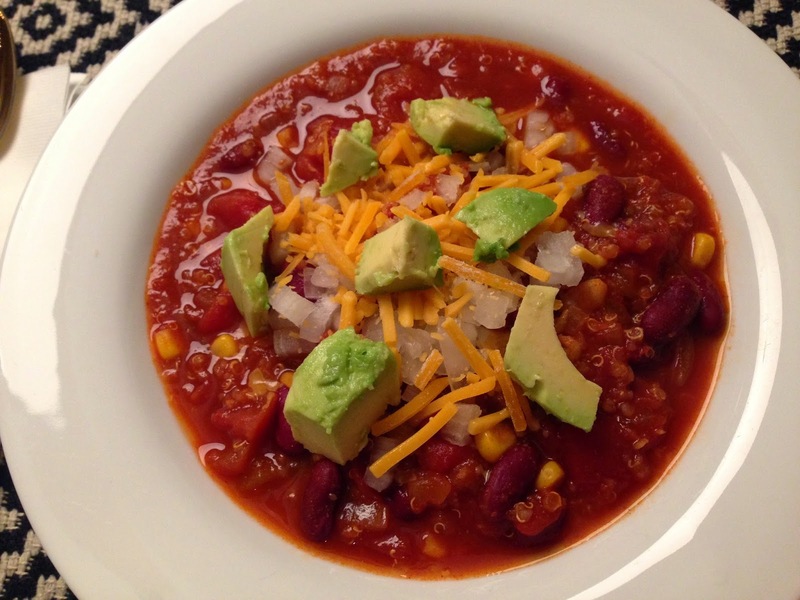 Let's give a big high five to Pinterest and to damndelicious.net for this amazing quinoa chili recipe that was prepared Sunday night for dinner. It's super delish, super healthy, super easy...the only downside was that it didn't pass the taste test with my kiddos. They prefer regular chili but I'm happy that they tried it. FYI-I only used 1/2 of the spice amount this recipe called for but we always doctor it up with hot sauce & I decided not to add the black beans. I am a huge lover of black beans but just not in my chili ;) This chili replaces meat with quinoa and has a mexican flare to it. I just might have to add this to our Taco Tuesday dinner rotation. 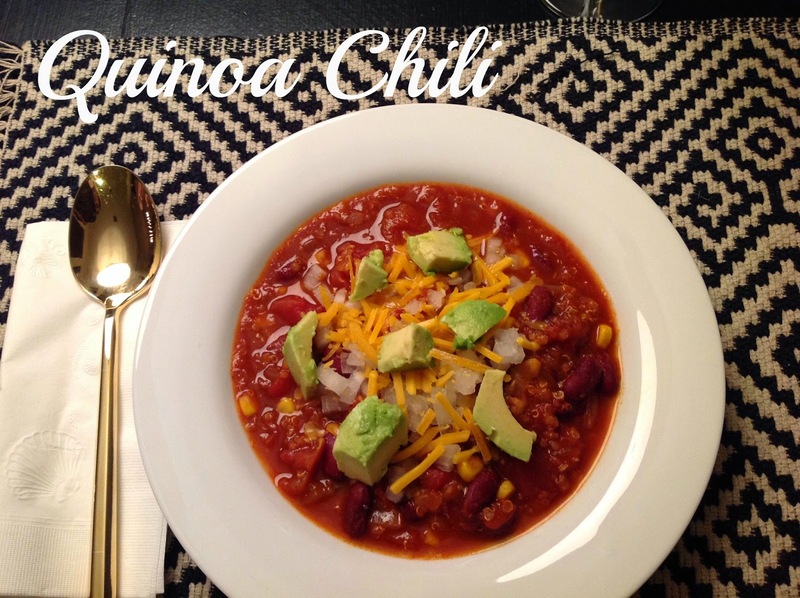 If you're looking for a new healthy twist on chili this is it. Oh and be sure to thank Chungah over at her blog damn delicious if you like it! Looks fantastic! I've been craving soups and chili in this cold weather. This looks delicious! We are big chili eaters here. I'll have to give it a try.